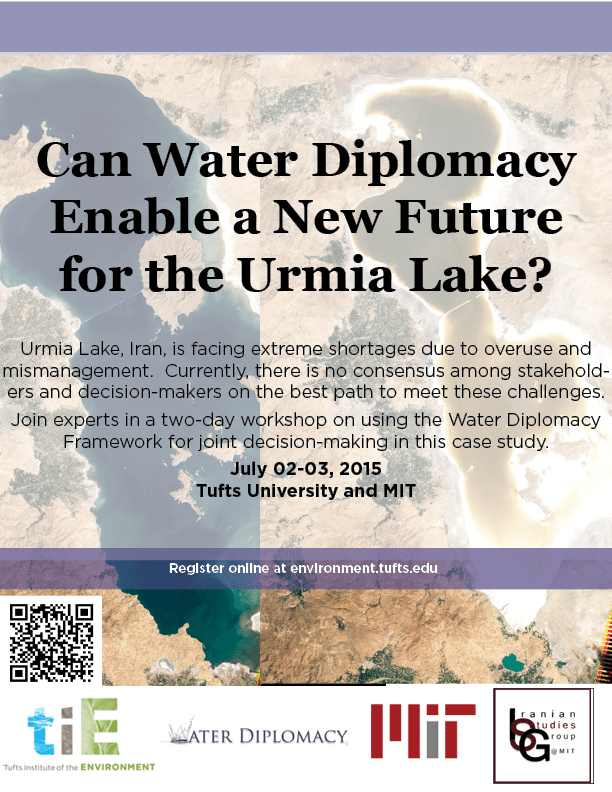 Iranian Studies Group in collaboration with Tufts Institute of the Environment is pleased to host a 2-day workshop on the future of Urmia Lake entitled “Can Water Diplomacy Enable a New Future for Urmia Lake?”. This workshop aims at understanding the challenges facing this unique body of water in northwestern Iran by bringing together faculty members and experts from Iran and US. - Can Water Diplomacy Enable a New Future for Urmia Lake? The event will be organized at Tufts University for the first day and at MIT on the second day. This a free event but you need to register in advance to join the sessions. The event will be also broadcast online. For details on how to participate online please refer to the event page.